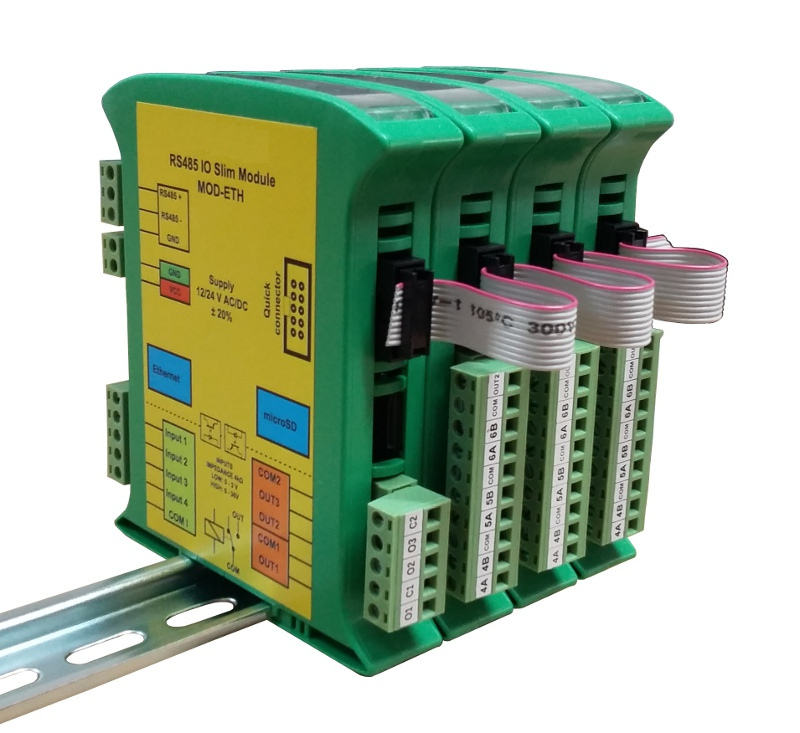 The MOD-8TR module is an innovative device that provides a simple and cost-effective extension of the number of line of outputs in many of popular PLCs. The module has 8 triac outputs. 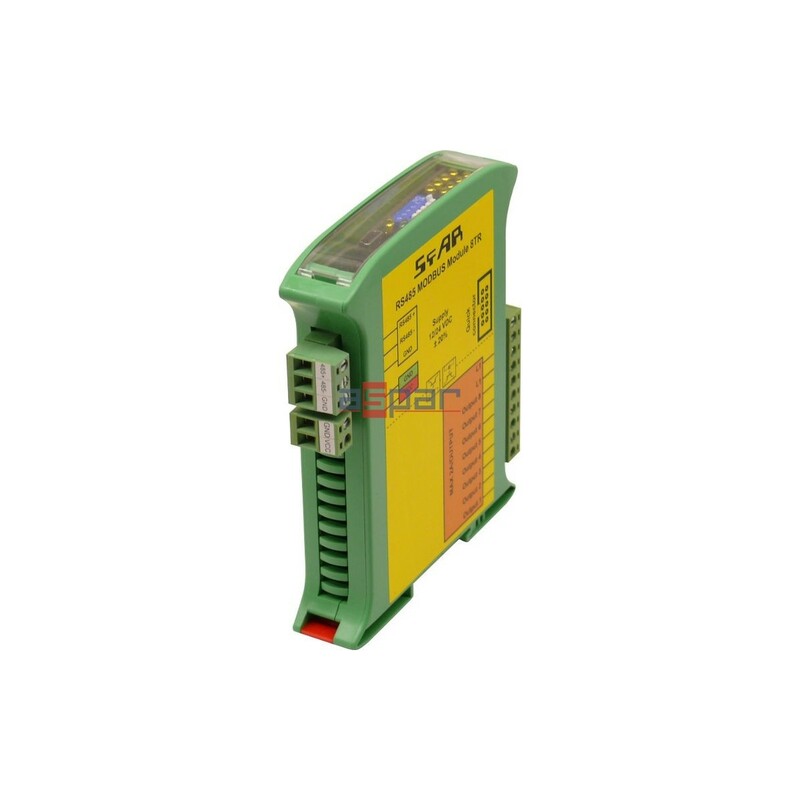 All of the outputs are isolated from the logic system by optocouplers. 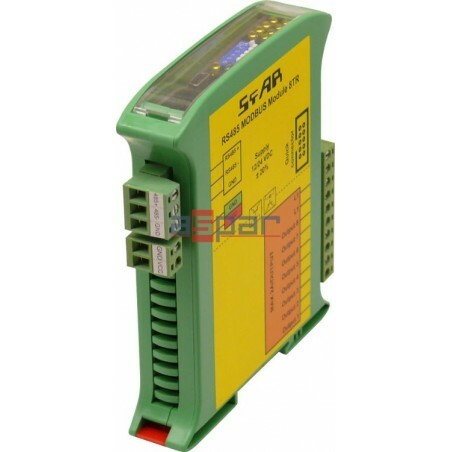 The module MOD-8TR communicates with all commercially available PLCs and other devices that support popular Modbus Master protocol.